When it comes to sports bikes Ducati is without a doubt one of the most appreciated manufacturers. And with models like the Hypermotard there is no wonder why. This mechanical beast was carefully forged to reward you with excellent riding dynamics and is packed with a comprehensive list of state of the art technologies. The motorcycle is built around an 821cc, Testastretta 11°, L-twin cylinder, 4 valve per cylinder, Desmodromic, liquid cooled engine. 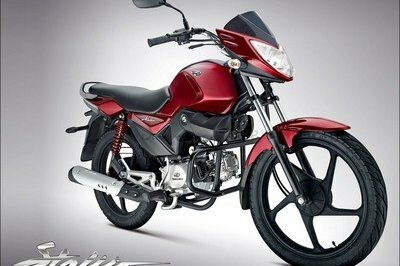 The unit cranks out a maximum output of 110 hp at 9,250 rpm and 89 Nm of torque at 7,500 rpm. All this power is kept under control by a six speed transmission and you also get Ducati’s Ride-by-Wire system, which allows 3 different engine mappings. The engine is housed by a tubular steel Trellis frame with 34 mm main section tubes, 25.5° rake, 104 mm trail and 30 mm offset. The bike can be yours for no less than $11,995. 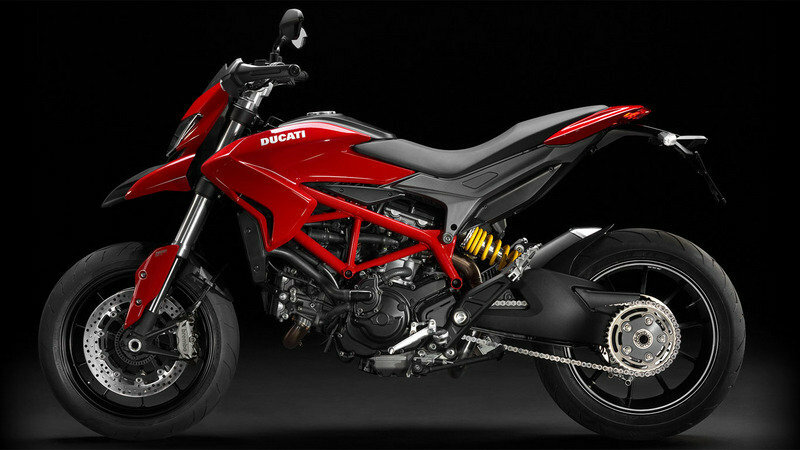 Hit the jump for more information on the 2014 Ducati Hypermotard. The new Hypermotard offers all the power of a new generation 110 HP Testastretta 11° engine with the advanced technology of Riding Modes, Power Modes and the Ducati Safety Pack. Don’t put the brakes on your energy: total control and extreme versatility allow you to attack any road in Hyper style. 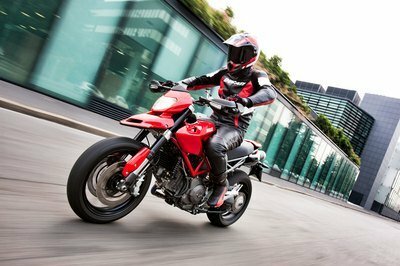 The new generation of Ducati Hypermotards joins the motorbike panorama with a model designed and built with particular care and individuality. It is characterised by the new 110 hp water-cooled engine and a range of ergonomic and functional improvements which add tremendous versatility to the extreme and minimalist look. 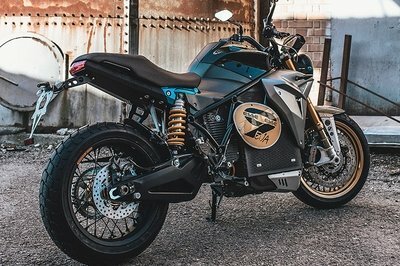 An ideal entry-level model in this fantastic range, the Hypermotard offers the Ducati Sport Riding Mode in combination with the Ducati Safety Pack including ABS and DTC, presenting itself as an extraordinarily fun bike for daily use that is particularly suited for short and mid-range journeys. 2013 marks the new milestone in this development: Ducati presents the new and exciting generation of Hypermotards, which has drawn on elements from the original concept which made this bike unique and such a success: innovation, design, but above all fun in the extreme. The new Hypermotard not only echoes these features but takes them even further, thanks to a new range consisting of 3 incredible models: the thrilling Hypermotard, the extreme Hypermotard SP and a new even more accessible and practical tourer that is particularly suited to mid-range touring: the Hyperstrada. 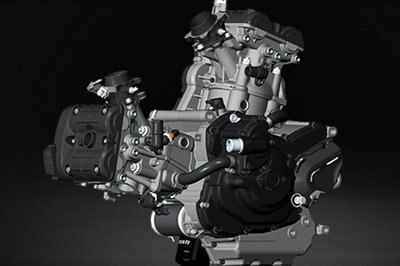 The new Testastretta 11° adopts technical solutions which directly reflect Ducati’s engineering know-how and have led to the creation of an extremely fluid and stable engine: the 11° valve overlap confirms the excellent results obtained in the Multistrada 1200 family and improves the exhaust and intake stages with consequent steady operation at medium and low speeds. The relocation of the fuel injectors, which was also applied to the engine of the new Multistrada 1200, aims the jet of fuel directly at the hotter rear end of the suction valve, so that all fuel is atomised; a secondary air system similar to that of the 1199 Panigale enables the engine’s operation to be optimised thanks to the controlled flow of oxygen which reduces cyclical combustion dispersion, thus effectively eliminating unburnt fuel. The structural features of the new 821 cc Testastretta 11° engine, together with the use of the Ride-by-Wire system which controls the opening of the butterfly valves on the basis of the input received, are the starting point in obtaining the Riding Modes for the new Hypermotard models. Each Riding Mode has a preset engine mapping, but can be adjusted and customised to suit rider needs. 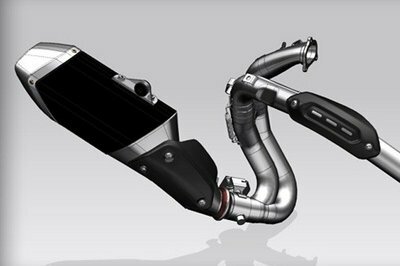 The 2-1 exhaust system has been completely redesigned with 50 mm exhaust headers and valves which flow into the new single silencer made with a very compact, high absorption technology with a black finish and stainless steel rear frame. The system includes a catalytic converter and two lambda sensors, to guarantee complete compliance with Euro 3 regulations. The new engine is equipped with an APTC oil bath clutch with ‘slipper’ function which can be activated with reduced force on the lever. Its design uses a progressive self-servo system with plates with a high wear coefficient and this increases the torque available, with all other factors being constant, and hence reduces clutch spring loading and, ultimately, loading on the lever. All the models are now equipped with cable-clutch control; this has proven the best solution for this application in terms of build simplicity. The slipper function intervenes when the drive force is reversed and reduces the pressure on the clutch discs and so enables the vehicle’s stability to be maintained during aggressive changes typical in sports riding. Thanks to the constant investment by Ducati in quality and reliability, the new 821 cc Testastretta 11° engine has enabled further progress in maintenance planning: valve adjustment is now scheduled for every 30.000 km which is a great advantage for Ducati customers. The new Hypermotard family of bikes is equipped with a new tubular steel Trellis frame with 34 mm main section tubes, 25.5° rake, 104 mm trail and 30 mm offset, dimensions which allow steady and safe control without compromising the agility typical of this motorbike. The frame connects into the seat rail and, as in the new Multistrada 1200, includes an intermediate section in engineering polymer. A wide 70° steering angle allows great handling, while the wheel base has been increased to 1500 mm to maximise stability at high speeds. The Hypermotard guarantees a dominant riding position thanks to handlebars that have been shifted further forwards and upwards compared to the previous version, and footplates that are positioned further forward to guarantee maximum comfort. The seat height of 870 mm can be reduced to 850 mm by choosing the low seat option from the Ducati Performance catalogue. The fuel tank in the new Hypermotard family has been completely redesigned and its capacity increased to 16 litres (4.6 litres more than the previous models), guaranteeing a greater range without affecting the bike’s fundamental and sinuous lines. The front braking system features a pair of the new double Brembo M4.32 monobloc 4-piston radial callipers, which are activated by the brake master cylinder with its 4-position adjustable lever on the Hypermotard and Hyperstrada and by the radial brake master cylinder with an adjustable 5-position lever on the SP model. The front discs are 320 mm, while on the rear there is a single 245 mm disc with a single Brembo calliper. All the new Hypermotard models are also equipped with the new multilevel Bosch 9MP ABS as standard that make braking safe and effective in any road conditions. 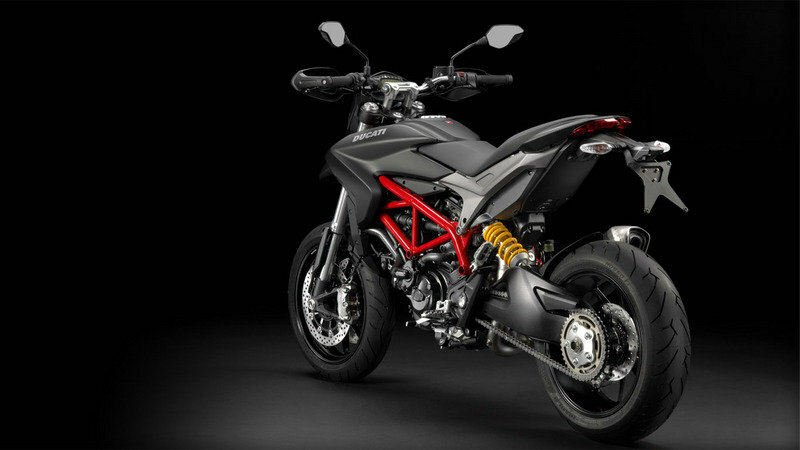 The rear suspension of the new Hypermotard family relies on the exclusive die-cast aluminium single-sided swingarm, which has been specially designed to provide strength and guarantee excellent control of the rear axle. This elegant mechanical solution helps emphasise the bold and sporty character of the new models. The new Hypermotard family is equipped with the latest Bosch 9MP ABS, an integral part of the Ducati Safety Pack. This unrivalled combination of safety and braking power provides shorter stopping distances and greater stability under braking. 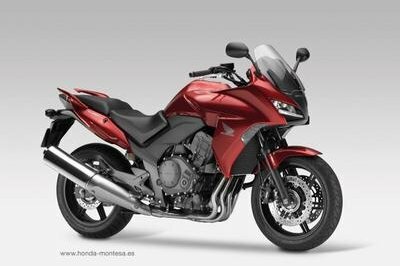 The system integrates perfectly with the Riding Modes and has two operation levels. The Ducati Riding Modes mark a turning-point in motorbike engineering and allow a choice to be made, depending on the model, from preset modes to optimise the vehicle’s performance on the basis of the rider’s riding style and the environmental conditions. 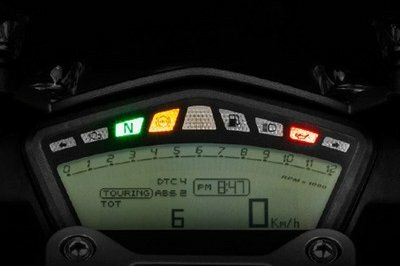 The compact instruments of the new Hypermotard family include warning lights in the upper part of the dashboard for signals relating to neutral, indicators, high beam, rev limit, oil pressure and fuel reserve, while the lower section includes an LCD display with a DOT-matrix readout to view all the other data. The display provides data on speed, revs, mileage, trip 1 and trip 2, engine coolant temperature, ambient temperature and the time. In addition, it shows current fuel consumption, average fuel consumption, average speed and journey time. The DOT-matrix readout permanently shows the chosen Riding Mode and the corresponding ABS and DTC levels set; it is possible to choose from 3 Riding Modes very easily whether stationary or on the move using the indicator button. The integral Ride-by-Wire system on the new Hypermotards includes a new and compact electronic throttle control, which combines perfectly with the minimalist design of the displays. The Hypermotard uses the innovative display which features an exclusive ‘safety’ function which protects the starter switch when the engine off button is pressed. For all the models the clutch has traditional cable control and, for the rear brake, a lever that can be adjusted in 4 positions (5 positions for the SP model with radial brake master cylinders). The die-cast aluminium foot pegs are painted black and have integrated heel guards and support the brake and gear change footplates made from forged aluminium. 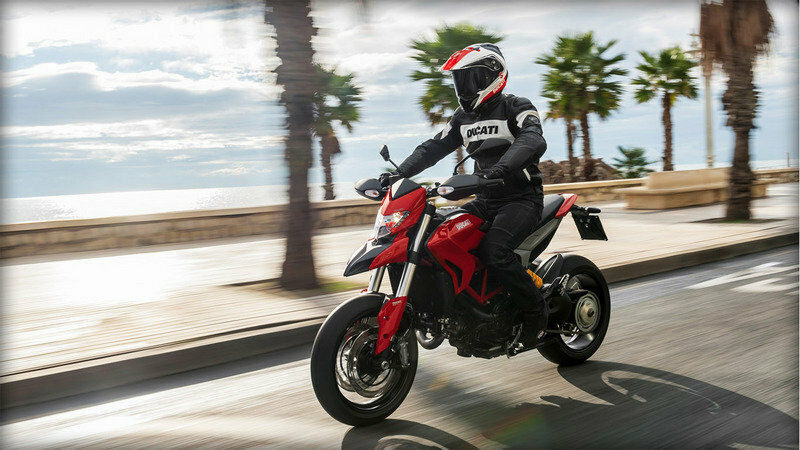 The new Hypermotard and Hyperstrada models boast the latest cast-aluminium 10-spoke wheels, with a design inspired by those of the 1199 Panigale, a clear expression of Ducati’s unmistakeable sporting spirit. 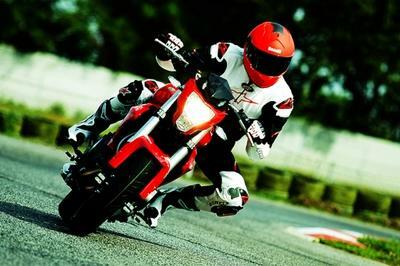 The new Hypermotard sports bicompound Pirelli Diablo Rosso II tyres which combine high durability with excellent grip. The front wheel a 120/70 x 17" tyre, while the rear has a 180/55 x 17" tyre. Power 110hp (81kW) @ 9250rpm (35 Kw with output reduction). Instrumentation Multifunction digital dashboard with white backlight, composed of LCD segments for rev counter and a Dot-Matrix area for all other information: odometer (total, trip 1 and trip2), speedometer, clock, coolant temperature, selected riding mode, current fuel consumption, average fuel consumption, average speed, air temperature, trip time, maintenance intervals indicator (Km), errors detection (diagnosis), setup menu and customization functions. Interface for the management of Riding Modes (ABS, throttle response power, traction control). Lights: oil pressure, neutral N, fuel warning, turn signal, EOBD (diagnosis), high beam, DTC intervention (Traction Control) and deterrent immobilizer (in Key-Off). Headlight control: auto switching-off during engine start, auto turning-off after 60 seconds from Key-On without starting the engine, hazard lights. The key management of the various function menus are integrated in the left and right switch controls.